- Michael Pomante planted 100 scilla and about 35 daffodils planted in area between stream, drive and laurel bed. James sowed "swamp fill" with rye. - Patsy continues to remove fall grass & reseed. Grass W. of drive & house coming up. Lawn cut. Signs of fall - dogwood turning brown & some maples red. - Gaston & Mireille Vanaertenryck took "family leave" today. - Michael Moylan taken on as third gardener. - A.G.R. Jr. & J.N.R. flew to London on a "Concorde" because breakdown at Kennedy: once is enough. After ten days there incl. Environs to Paris on Oct. 12. - Renovation at 786 Church Road, to make kitchen & maids sitting room into a larg e"family room". - Returned on Q.E. 2 which was nine hours late due to storm. Arrived Paris from London on Sept. 7th, six days in barge on Canal du Midi followed by six days motoring to Paris. Flew to London Sept. 21st. - At 10:00 PM man arrived at put on the furnace. - Winter rugs put down today. - Lawn around house reseeded again. Top dressing of compost. Seed planted early in Sept. had not germinated evenly. - 46 Members of the Horticultural Society of New York visited gardens at Minder House and Chanticleer & had lunch at latter. - Cleaned, scrubbed & white washed the wine cellar. - Upper Bank Nurseries planted a large hemlock on bank S. of stream to block our porch from Brooke Road & a large him. holly on same bank but east of drive. Also considerable planting of small shrubs at entrance and along Brooke Road etc. - We landed from S.S. France in New York. See Aug. 23rd 1973. Last week spent partridge shooting at Sutton Scotney Hamps. w/ Robin & Sheila Cowen. - A.G.R. Jr., alone, returned from 4 days partridge shooting at Sutton Scotney. - C.P.R., A.G.R., and E.P.R. returned from their annual pilgrimage to Europe. - Three hundred odd daffodil planted on lower part of place & bank of made stream E. of drive. - A.G.R. Jr. & JNR flew from N.Y. to London, then to Milan on 5th, where we were joined by the Wests & A solo with many side trips until 16th, when we flew from Venice to Paris. Left France on Oct. 22nd for Amsterdam and London (Merck & Co. Inc. business), Returned Oct. 31st. - To Princeton, where we saw Penn defeated 7 to 6 & returned satisfied. - Luther & Rush Dalton completed first stage of rose & tulip beds in new cutting garden: seeded & rolled grassed areas. - "Moving to Town" completed. New white curtain we bought last spring in Paris put up. - At 2:15 AM, the police arrived with word Godfry had escaped Delaware County Prison. - While we were abroad, Farrow & Sons recessed radiator in spare bath room, Misc. but expensive planting done by F.D. Moore & Sons. - A.G.R. Jr. returned from a week of fair partridge shooting at Sutton Scotney, Hamp. - A.R. Jr. accepted Chairmanship, Finance Committee of Neighberhood League. Fourth successive rainy Saturday. Cryptomaria on A.G.R. line, 40 daffodils, three ivy planted and two dead rhodendron replaced - weather not with standing. - Upper Bank Nurseries planted two Oxydendron above hardy border, misc. shrubs incl. Thea etc. below wall of the cutting garden. yellow berried holly above stream E. of drive & rhodendron behind the row of Austrian pines. - A good rain began at noon. Very serious drought since second week in August. - 500 daffodils planted in clumps of 20 along stream by new bridge. - 100 Thalia planted in bed, opposite library window. - A.G.R. Jr. & J.N.R. returned, via Q. Elizabeth, at 8:30 PM, to servantless existance; though departing staff (see entry Oct. 1st) had "moved us back to town". - A.G.R. Jr. & J.N.R. flew B.O.A.C. from New York to London. A weekend with Le Roy Diwises, a night with A> Craig & three days with the Bells at Thirsk; balance in London; good theater. - Twenty-five narcissus and daffodils planted in front of line of Austrian Pines. A lovely early fall day - high wind but very clear. - Official temp. 39° at 5 AM, lowest for the date so far recorded. - 3 cedars (Thomas Nurseries) planted around two damaged in Mar '58 snow. - 15 clumps of daffodils added to left bank of stream below bridge. 20 bulbs a clump. - Weldon Nurseries: 50 Sarcocca below bath house & 10 Picea Abies Nidiformis below the house at Chanticleer. 2 Abies Pinsapo by pond. - Demolition of 747 Brooke Road began. - The little grass plot under the East dining room window replanted in pachasandra. - The last of 600 daffodils planted, mostly along made stream from Brooke Road. - 400 additional daffodils planted along stream. - 2 clumps of Moonshine, plus "gratis" bulbs planted on rise outside library window. - 25 clumps of Daffodils planted both sides of stream below bridge of drive. - Police guard of the house & A.G.R. Jr. removed at 12:45 PM. - New planting front door of 786 Church Road put in by Weldon Nurseries. - Fourteen dozen daffodils planted in lower part of place along stream etc. - The terrace, made last spring, N. of house, reseeded in Aug. coming up. Warm. - While we were away Bickers planted 3 Cedrus Atlantica near telephone pole. 3 Nordman Fir near tool shed & 3 hemlocks S. of library wing. - "Move to Town" completed. Greenwood & crew working on statue in old rose darden. - Roof at Chanticleer completed. - Started to white wash the cellar. - Emil and Emsha Schreiber entered our employ today. - 9 coton easter Li-Ki-An evergreen planted below library window. See entry of 26 Sept. 1960 they were moved out & replaced with more shore juniper Spring 1962. - At 4:00 PM Godfey reported to have been captured by F.B.I. & Phila. police. - "Moving to Town" completed. - Continued to work on cellar but used cold water paint. - John P. Hallahan started to put on new creosote dipped shingle roof, sheathing of 7/8" pine and Reynolds "Metallation" paper. Architect - Lancelot Sims Esq. - To Princeton, N.J. for the night. Dinner with the Borgerhoffs. While there winter rugs put down. - Bedroom & bath (Master) repainted after scraping off old paint. - Party of 30 at The Rabbt for the Bells & Ray & Mary Courtney. - Level, grading of Terrace below spillway continued. White pines put in & spruce moved to below pond to block Brooke Road. - Cold and high wind. Came out early and cultivated in rhoendron bed. -Warmish: dug in leaf mold around hemlocks at gateway. Signs of fall - maple quite red, fall grass browned by the frost. - Furnace turned on today. - Planted daffodils by drainage ditch & "Blush Queen" Scilla nutans and Snow drops on walk to Chanticleer. - 87° established record high for this day. - A.G.R. Jr. & J.N.R. to Bedford Hills, N.Y. for weekend with the Weinigs. - "Moving to Town" completed today. - Defec. temp since 1:I:66 287° - Rainfall to date 29.34" - defec. - 5.12". - Move to Town completed. - Bells left for Washington D.C.
- Cold. Turned on furnace. J.N.R. had busy day, putting down winter rugs. House now has appearance of winter. - One more hemlock, making fourteen in all, planted in row by new garden. - Michael Pomante cut the lawn. - Upper Bank planted periwinkle in bed above hardy border, two Peiris Jap. a pedunculosa holly & a dog wood in the area. - 1 Hemlock & 3 Carolina rhodendron above new garden on line to Luther's house. - Mascari, clasiana tulips, Camassia & Allium planted this weekend above garden along stream. - After A.G.R. Jr., JNR & Raoul Fournier testified, Godfrey (see June 20th, '64) plead guilty to chardges of armed robbery & shooting with intent to kill. He was sentenced to prison for 8 years minimum & 17 maximum. - A.G.R. Jr. & J.N.R. returned on Q. Elizabeth: We had left on 24 Aug. After Rabat, 10 days in Paris & a week in England. Gaston & Isabelle had "moved us to town" in our absence. - "Moving to Town" completed. 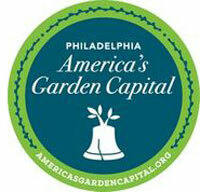 Garden Club of Phila. met here at noon. - After weekend with D. & C. Le Roy-Lewis, a week partridge shooting at Sutton Scotney, four days with the Bells in Yorkshire, three days in London, returned home. - A.G.R. Jr. & C.P.R. returned home from Europe. - 2 doz. Daffodils, "Mrs. Backhouse", planted in wood above hardy border. - Very heavy rains but as bad as August "Diane". - AGR Jr. & J.N.R. arrived in N.Y. on "Giulio Cesare", having sailed from Genoa on 3rd Oct. (see 28:VIII:57). After Paris to Venice on 23 Sept. Where we were joined by Peter & Hilary Bell. 5 days in Venice & 5 days in Florence before boarding boat. - A.G.R. Jr. & JNR returned (see Sept. 4th, '68). While away west chimney taken down to level 2nd floor, flue from our bedroom replaced, new mantle and new marble facing installed. - A.G.R. Jr. & J.N.R. to Knoxville to stay with the Pattersons, returning on Oct. 21st via Asheville, N.C.. Virginia Beach & Chestertown, Md. (Newlins). - Returned from Paris via Pan Am, after nine days there. - Dwarf Apple from Garden at Chanticleer planted in lower lawn. - A.G.R. & C.P.R. arrived home from Europe. We met them in N.Y. the night before. - Frederic & Gertrude Hardt entered our employ at 275.00 per month. - Peter B. & Catherine M. Hagan left our employ. - 20 Ilex Helleri edge of wall below dining room planted Bickers. - Jones of Paoli began repainting the outside of the house & garage. - Returned on QE2. Departed Kennedy (B.A.) Sept. 9th. Weekends at Bramland & Thirsk w/ 4 day partridge shooting at Sutton Scotney in between. London & Paris w/ six days at Avallon with W. & H. West. - Am. Hort. Soc. Tour of Chesapeake Bay began at Baltimore, Md. - Michael & "Tony" the mason completed change in wall of the new garden: wing set a right angles & low retaining wall about 9' long run N. parallel to property line. - The hardy border was deeply spaded today. Clay lumps carted away, hyper-humus & wood ashes dug in. Of course the annuals had to be discarded. - 12 doz. Daffodils planted in swamp. - Innumerable small branches, several large ones, and at least twenty big trees uprooted or broken off on the place. We shall bee all winter cleaning it up & the large trees, esp. along stream will take decades to be replaced. - Weldon Nurseries finished planting juniper forecourt Chanticleer. - 100 Pigmy Barberry paut as edging Camelia bed below swimming pool. - At Franklin Field: Univ. of Penna 7 - Princeton 0 - Too bad. - About 250 tulips planted in cutting bed. Heavy frost this A.M.
- One hundred muscari, heavenly blue, planted with considerate difficulty in the swamp to right of drive on leaving about 100-150' in from Brooke Road. - Fill with retaining wall on Brooke Road on new property completed & seeded today. After setteling over the winter, we will plant it in the spring. -A.G.R. Jr. & J.N.R. returned on Queen Elizabeth. Marion Fry, in our absence, had "Moved to Town". Only painting, on minor scale, during interval. - AGR Jr & JNR returned on Q. Elizabeth: in Enland, we had spent a week w/ the Bells at Thirsk & a weekend w/ De -Roy-Lewis in Sarrey. Sailed S. Hamilton Oct. 12th: Oct. 14th particularly rough & did not land at N.Y. till 5:30 P.M.
- No frost yet, but leaves are turning on many trees. - 200 white crocus planted today in periwinkle above hardy border. - Under supervision of Mrs Edward Garra new perennials planted in hardy border. - Miss E. Beazley staying with us to plan future & improve landscaping. - Four spreading yew, two ????? ?, two white azaleas and one chinese juniper planted on north line of court running from end of wall, and one juniper planted on opposite side of drive. Two upright yew planted at top of steps. - 2 1/2 in. of snow fell between 5:00 P.M. & midnight - see next page. (Oct. 20th, 1940). - First frost and a good one. - A very good rain: defeciency for year reduced & ground well soaked for winter. - Rain at last: 2" by 5 P.M.
- Record snow storm. [We were in Paris]. - "Move to Town" began & completed 48 hrs. later. - P.M. dug up flower bed by barberry hedge & seeded grass. - Very warm. Aunt Lillie Huidekoper of Two Dot Montana had lunch at Chanticleer. Signs of fall: sycamores have lost many leaves; the ashes almost all; dogwood & maples have turned red but the apples & most shrubs are still green. - Although many trees have not lost their leaves. The snow on the ground presented an amazing picture. Lowest temp. this day 31° & average 39° a record. - New rose & cutting tulip bed dug by Luther & Rush in new garden. - Bickers preuned locust behind house: topped & opened up. - Cleaned out bank along creek preperatory to planting laurel. - Filled and graded "Pont Cinquantenaire" at foot of vista. - 6 Osmanthus Rotundifolius in bed opp. library window. 14 Juniper conferta added to this & to opp. bed under library window. Also 6 small Leucothoe. - Pear & 2 cotoneaster espaliered against new garden wall. - Jack & Peggy Murphy here for the night. - Women's Committee of Children'e Hospital at Chanticleer. About 250 people. 80 cars. etc. At least a clear day. - Grading of lawn W. of West Porch finished and seeded. - To Platt's at New Hope, Pa. for a very pleasant weekend. - After 10 days motoring through Dorgogne. Gorges du Tarn, stopping at Nimes, Le Baux, Baix, etc. & 8 days in Paris, returned on QE. 2. Rough trip 11 hours late. While we were away, Gaston & Isabel had moved us "to town". - The first really good rain in weeks. - Flower beds, A & B at Minder House "put to bed" for winter. - Doyle completed wall and steps behind (South) of hardy border - approx. length 80' - height 22". Fill behind wall leveled and seeded. - Hard frost for first time this year. 33° at 6:45 A.M.
- Bridge over "Little Darby Creek" temporarily repaired & reopened. Too much traffic. - A.G.R. Jr. & J.N.R. returned from London on a Pan-Am jet plane: arrived Idlewild about 3:30 P.M. & at Minder House about 8:00. - Heather bed, S. of strem & E. of drive planted today: 40 plants, 4 varities. - A.G.R. Jr. & JNR. returned from London on TWA's direct flight to Phl. arrived 3:00 & home at 4:30. While we were away (Oct. 6th) Tarcisio & Rosalina "Moved us to Town". Béca appeared happy at our return. - A.G.R. Jr. & V.S.R. returned from Cruise of Chesapeake Bay.